Designed to withstand water or other liquids, these washdown motors are a good choice for powering machinery that will be regularly hosed down and cleaned. 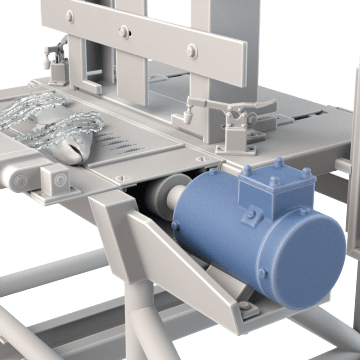 They have a totally enclosed housing that helps keep dirt and moisture from getting inside the motor in damp, dirty, and dusty environments. They also have drain holes that allow any condensation inside the housing to drain out. Commonly used to replace existing motors with the same specifications on equipment in food processing, chemical processing, and pharmaceutical plants. 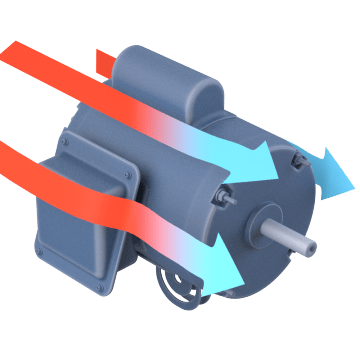 TEFC motors have an external fan mounted to the housing to move air over the motor, helping to prevent overheating when there is inadequate airflow. 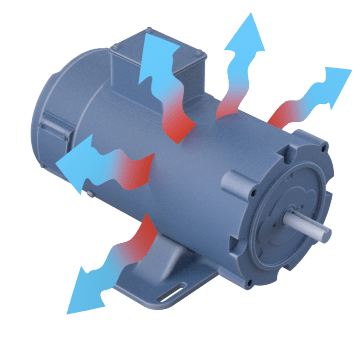 Typically more compact than fan-cooled motors, TENV motors don't rely on an external fan or open vents for cooling and are instead cooled by air circulated by the motor. 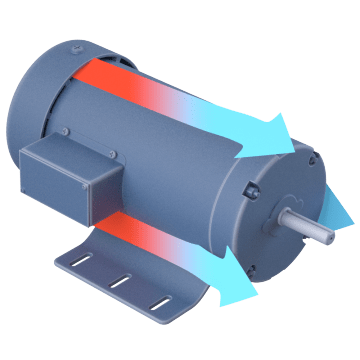 Use TEAO motors to power fans or blowers that also move air over the motor to cool it and prevent overheating. They are typically dust-tight.